There are no fees to belong to our dive club. It is free to the public. You do not need to be a certified diver, we are looking for people who have a love for the water and understand the importance of being good stewards our or oceans and waterways. We are a family friendly group and will not tolerate inappropriate adult humor or any negative behavior during our activities. We want to have good clean fun. As a group we will have many divers with many different levels of experience and some will be leaders and others will be valuable assistance to our projects. No mater how many dives you have you are still just a diver. If you have a little more experience or training, you can help those who don't. We work together to make sure we are taking care of our aquatic world. 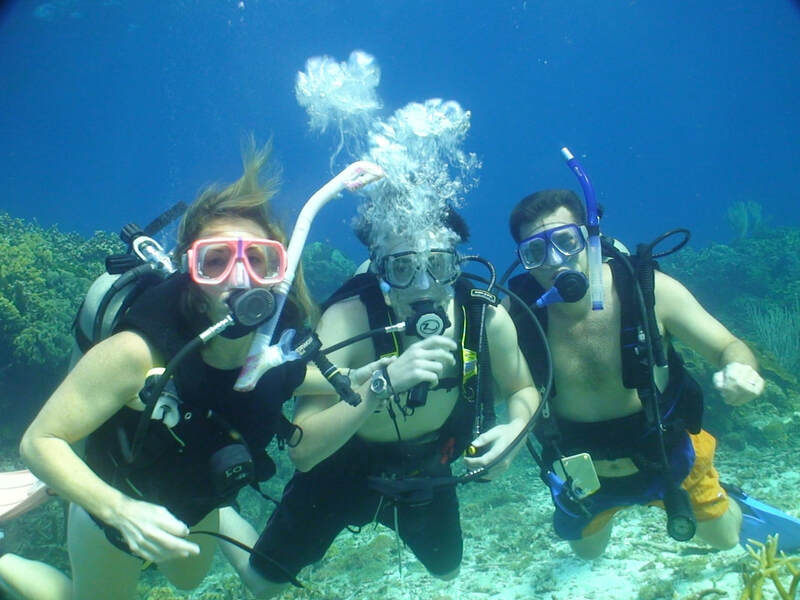 Scuba Bob's Dive Club promotes ocean conservation, safety, education, training and lots of fun. As a member, you may be asked to head up a committee, help with training adaptive divers, help with working with youth groups learning to dive and even helping organize trips. Scuba Bob's Ocean Quest videos will continue to be created and there will be need for assistants on our expedition to help with equipment, filming, editing and taking pictures. Our goal is to provide schools with DVD's on our expeditions that can be shown in local schools to educate students on the aquatic world and conservation. As a member of our club you can choose to just show up at our monthly meetings or you can choose to participate on expeditions, get more training to instruct or be an actor or model for the television show. ​In addition to underwater adventures, we will also participate in land adventures like visiting Mayan Temples, Giant Caves, Tropical Jungles, Waterfalls, Deserted Islands, and African Safaris. Local participation will be just as fun with trips to lakes, springs, rivers and beaches. We will go on Turtle walks to find turtle nests, visit maritime museums, talk to treasure hunters, participate in underwater archeological dig sites, and many more local day trips. ​Not many people have experienced the underwater world, which makes a lot of room for us to take in 72% of our globe, which is water. So come with us and lets have fun.